On a damp and overcast autumnal afternoon the Fowlers Wells outfit welcomed the boys from Rugby lane for the latest instalment in what has become a very keen rivalry over the past few seasons. With both teams on 5 wins and 1 loss so far this season it was truly a top of the table clash. 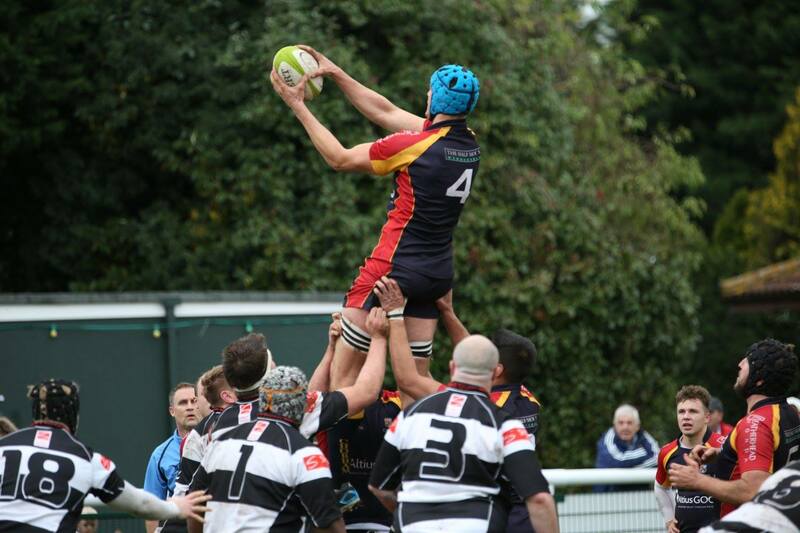 For Altius Group sponsored Chobham it was an opportunity to recover from a poor performance last time out in their defeat to Havant which led to them losing their unbeaten record and top place in a very competitive London 1 South. 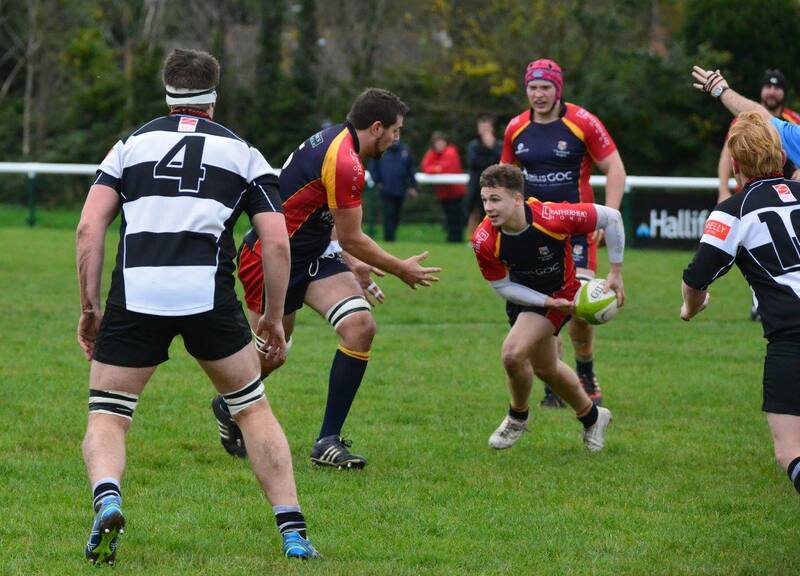 With the loss of Ian Barnes to injury Chobham were pleased to welcome back Mikey McDonald in the 9 shirt, as well as last season’s top try scorer Josh Devitt from the back injury suffered against Medway earlier this season. The game kicked off and the early exchanges were even, Chobham, clearly keen to impress as they looked to protect their longstanding unbeaten home record were over eager in defence at the breakdown resulting in a Sutton Penalty, converted by Sam Hurley, after 4 minutes. Chobham then quickly moved upfield with a great break by Alec Thomson deep in to Sutton’s 22 which resulted in a penalty for Chobham, and unfortunately a broken nose for Alec necessitating a ‘blood bin’. Mikey McDonald converted to bring the scores level at 3-3. Pleasingly for the Fowlers Wells faithful Chobham started to exert some control over the game with the setpiece functioning well. After 15 mins a great break from half way by Mikey McDonald and a quick recycle enabled the returning Josh Devitt to put in a lovely little chip and collect to force himself over for the try, with the extras added by McDonald to bring the score to 10-3. The game continued in this fashion with Joe McVey and Euan Buckland to the fore further pressure in the Sutton 22 led to another penalty, this time for offside in the backs and McDonald duly converted to take the score to 13-3 and the home crowd starting to believe that we were seeing the dominant Chobham of last season. Unfortunately, a poor re-start and a number of handling errors saw Chobham put themselves unnecessarily under pressure and ultimately give away a penalty in front of the posts , which Hurley duly slotted to bring the score back to 13-6 and give Sutton a foothold in the game after 24 minutes. This seemed to galvanise Sutton, who started to probe down the flanks and stretch the Chobham defence with most of the action now in their half. One attack, down the left, was brought up short of the line by a fantastic try saving tackle by Phil Williams, the ball was quickly recycled by Sutton and spun to the right and after an excellent offload out of the tackle the Sutton openside, Ridgely, was on hand to score. With the extras Hurley brought the scores level at 13-13 after 38 mins. To their credit Chobham reacted well and after a great lineout steal by Dave Askew finished the half in the Sutton 22 and with time running out took a tap penalty rather than kick for the points to try and force a score but again the Sutton defence held out as the half time whistle went. On the resumption, Chobham replaced an ill Tom Riley with young Matt McDougall and the Sutton 10, who had suffered a cut due to a nasty headclash, was unable to continue. Sutton started the 2nd half much the stronger and after 46 minutes worked their number 8, the excellent Matt Whitaker, free from the tail of the lineout to go through two attempted tackles to score by the posts, conversion duly followed to make the score 20-13. From the re-start Whitaker brushed aside more weak tackling from the Chobham defence to set-up field position in the home sides 22, another penalty followed at the ruck, again put over by Hurley to make it 20 unanswered points to take Sutton out to a 23-13 lead. At this stage Sutton were completely dominant and Chobham were looking for a way back in to a game that had started well. In the last quarter, with coach Ryan Gregory urging them on, the home side raised the intensity and with the home front row exerting real pressure a succession of penalties were kicked to the corner for line-out drives which a combination of strong Sutton defence and Chobham impatience were repelled until one was finally driven over but held up. From the resulting scrum the Sutton loosehead was yellow carded for an early shove and Chobham, elected to go for the corner sensing their dominance over 14 man Sutton rather than take the points. To their credit the Sutton defence stood firm and eventually cleared their lines as a result of a turnover under their posts. In to the last 10 minutes, with Sutton still down to 14 men, and Gregory now off through injury Chobham were again putting pressure on the visitors line and eventually a very well worked line-out drive resulted in young Matt McDougall scoring his first try for Chobham and with Thomson converting to bring the scores to 20-23. 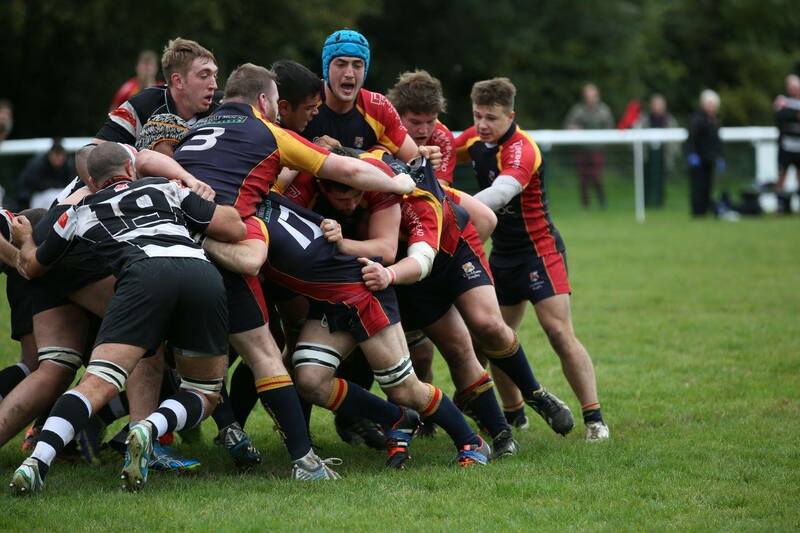 The home crowd sensed that a recovery was on but a combination of strong ball carrying from the Sutton forwards and lack of precision from Chobham allowed the visitors to close the game down and seal a first victory in four against the Fowlers Wells team. 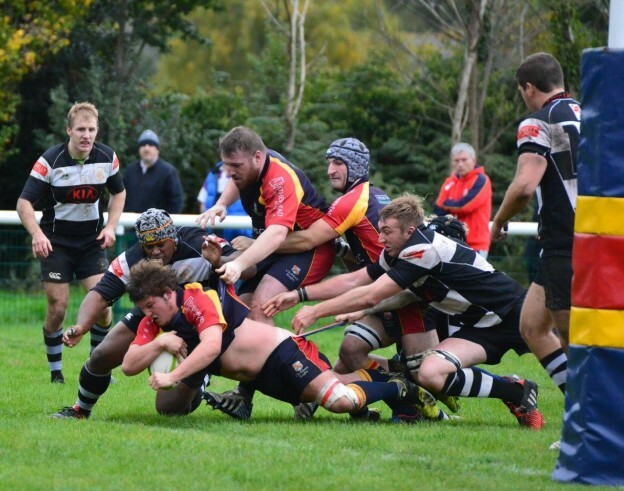 Chobham have yet to re-find the form that took them to the play-offs last year, and this game was another example of playing well in patches and then going in to their shell. With the league being even tighter at the top than it was last year, with a resurgent Guildford and new boys Medway, as well as Sutton and Sidcup being strong as ever, it is still all to play for but will require the ‘Mighty Chob’ to find consistency and a full 80 minute performance. 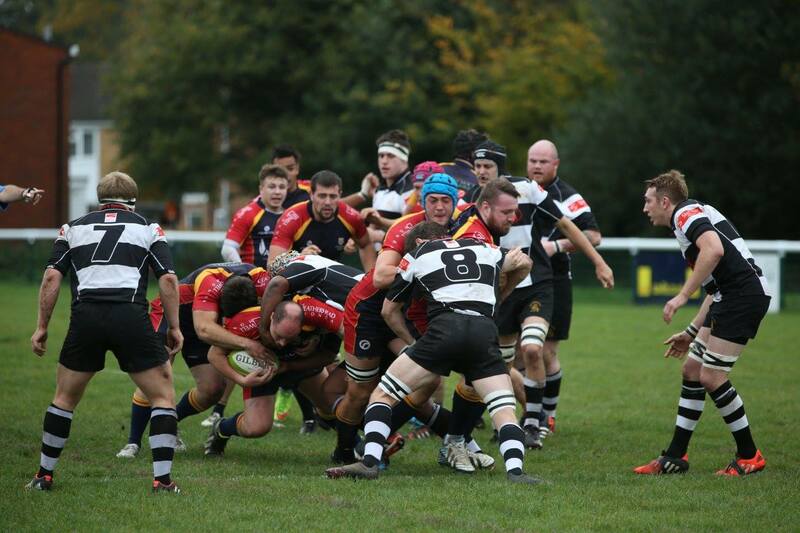 After a week’s rest Chobham welcome Guildford to Fowlers Wells on 14th November, for what will surely be a test of both team’s promotion credentials.